​It is estimated that 80.000 to 100.000 different hazardous materials, mixtures and products are used in commercial and industrial activities. The release of hazardous substances is the primary cause of injuries to personnel and heavy contamination around plants, but also of explosions and fires. The further use of contaminated technical equipment, including the computer hardware, in some cases is not possible or only to a limited degree. 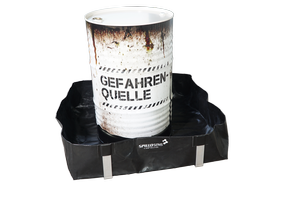 ​The necessary protective measures are described in the German Ordinance on Hazardous Substances and in other regulations. Leaks and spills must be immediately removed to protect workers and the environment. As a result of the prescribed protective measures for the handling of hazardous substances, the appropriate technical aids should be kept on hand. 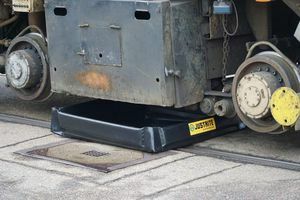 From small spills to large-scale leaks... Our flexible and portable containment systems are suitable for a wide range of applications. 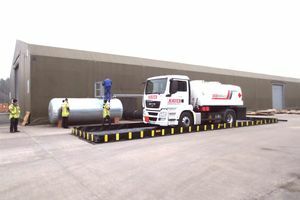 They help handle liquids hazardous to water in a proper way and enable the collection and disposal without harming the environment.